The issue that has rocked the Northeast for decades was and remains a result of colonial policy, not merely the work of the few Assam leaders. 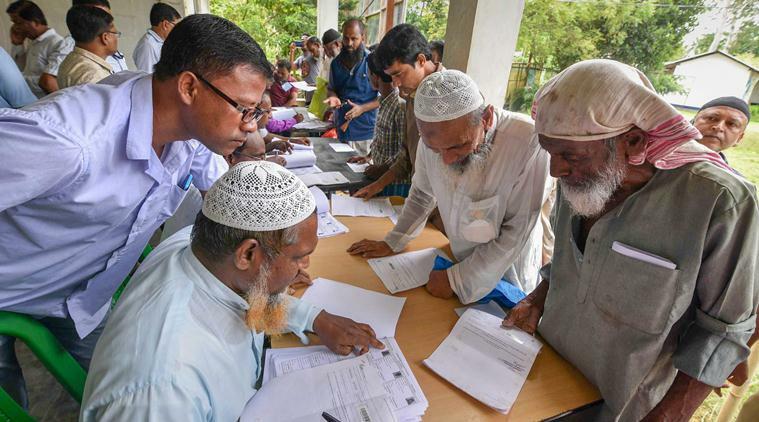 I am afraid that Gorky Chakraborty’s take on the National Register of Citizens (NRC) reflects a bias that leads to a kind of reflexive response from a prejudiced section of scholars. The dominant narrative among them is the great betrayal by Assam Congress leaders – on the eve of independence – of the interests of Bengali Hindus by their passive acceptance of a referendum in Sylhet to decide whether the district remained in India or became a part of Pakistan. This was the supposed conspiracy to manufacture Assamese majority in Assam. The inclusion of Sylhet in Assam was neither to the liking of the Assamese nor Bengalis, but neither group was able to sway the British government’s policy. Once partition was accepted in principle, it was arguably difficult for the then government of Assam – with very limited powers under the Government of India Act, 1935 – to resist the demand for a referendum for a fair settlement of the issue. It may be recalled that the princely state of Cooch Bihar – which had a much closer cultural and social link with Assam than with Bengal – was also very much in the public imagination an integral part of the state in the future set-up of independent India. But Assam Congress leaders, against their will and popular sentiment, decided to concede to West Bengal’s claims as compensation for the huge loss of territory after the partition of Bengal. Sylhet’s public opinion was divided down the middle on communal lines. Hemango Biswas recalls in his autobiography how a cultural squad – taken out by the CPI to support integration with India – had been practically put to rout by an enormous procession of fanatical Muslims rending the skies with vocal support for Pakistan. At the time, communal passions were running high and All India Congress leaders felt helpless to resist the tide. The referendum had become an inexorable choice. It was organised and overseen not by the Assam government, but the Indian government with Indian Civil Service officers at the helm. The outcome was a thin majority for pro-Pakistan parties and the Assam government could not be faulted for the result. Some Hindu majority sub-divisions remained in India, but the greater part went to Pakistan. Chakraborty, like other prejudiced scholars, ignores the proverbial elephant in the room – British colonial power. The issue that has rocked the Northeast for decades was and remains a result of colonial policy, not merely the work of the few Assam leaders. Population increase from the early years of British rule to 1891 resulted in indigenous people constituting only half of the region’s population. Deliberate colonial promotion of migration for its own special interests, like revenue extraction and reduction in administrative costs as well as of the colonial tea plantation industry, accounts for much of it. Nor should we ignore rebellions, including native support to the Great Rebellion of 1857, and serious peasant uprisings from the 1860s to the 1890s which promoted colonial safety-valve measures – like the mass import of foreign immigrants to local societies and cultures and amalgamating regions with predominant populations unrelated to the local mainstream – in an attempt to blunt the possibility of united resistance to British rule. Scholars like Chakraborty tend to ignore such critical historical factors, unconsciously becoming complicit in the colonial construction of history and policy. It must be added that both, natives and immigrants, have been innocent victims of such subtle and far-reaching colonial designs. Within the given and inherited socio-political context, tensions were recurrent and interminable. They reached a climax just before independence with the Muslim League’s demand for Partition. And again in 1960 during the language agitation and in 1979-85 Assam anti-foreigner movement. It is easy enough to condemn Assamese chauvinism for these developments, but that is hardly a solution to such in-built structural tensions. The periodic culmination of tensions and eruption of virulent hatred cannot be fobbed-off on local chauvinism, however culpable it may be in some ways. Neither can these be eliminated by political and administrative interventions from above. By disputing the status of the original NRC of 1951, Chakraborty seems to assign the resolution of the long-standing contradiction to state power wielded by sundry political forces. The high court verdict denying its evidentiary value had been implicitly set aside by the Supreme Court when the latter made it one of the primary and basic documents in the process. Actually, the Army and the Central Reserve Police Force were both present in strength during the long period from 1980 to 2000. That did not prevent the region from descending into a maelstrom of horrific and unending mistrust, hatred, massacres and civil disorder. The periods of relative calm did not ensure normalcy. 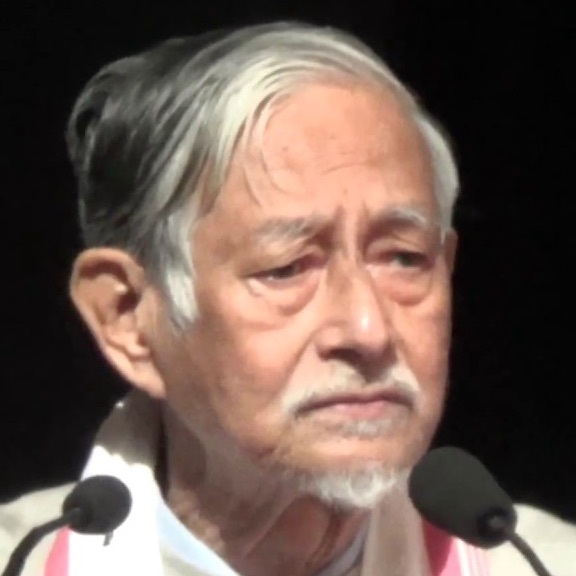 It was only in the late 1990s when a platform of saner political elements – tribal and other ethnic leaders leading Muslim clerics and civil society activists – came together and reached a firm, if informal, consensus that the Assam Accord would not be questioned and a resolution would have to be founded on its basis, that peace and normalcy returned to the region in a slow and halting manner. The Centre’s interventions only helped to disturb this precarious understanding from time to time, but all communities with ground-level support have held on firmly to this commitment. And now, along comes Chakraborty and other scholars to question its implementation and, thereby, restore the state of disorder and blind hatred. They will be safe in their homes, but hundreds of hapless people may perish here if the NRC is left unfinished. Hence, people in Assam are putting their trust in the Supreme Court for monitoring the process and praying that it gives them a bedrock of security. And what about the four million people who will be purportedly thrown into a limbo? Who has ascertained that all four million will be lost souls? They have been given a chance to prove their credentials, and the high court and the Supreme Court will be available as courts of appeal against discrimination. One hopes other mechanisms will be in place to address their grievances. It is, after all, the Centre’s baby, as it had long neglected its responsibilities in this sensitive issue. Once the NRC is in place, embattled natives are likely to take a calmer view of things and look at the problems of people facing desperate uncertainty with some compassion and patience. Of course the saffron brigade – known for fomenting divisive politics – wants nothing to do with compassion and reconciliation. 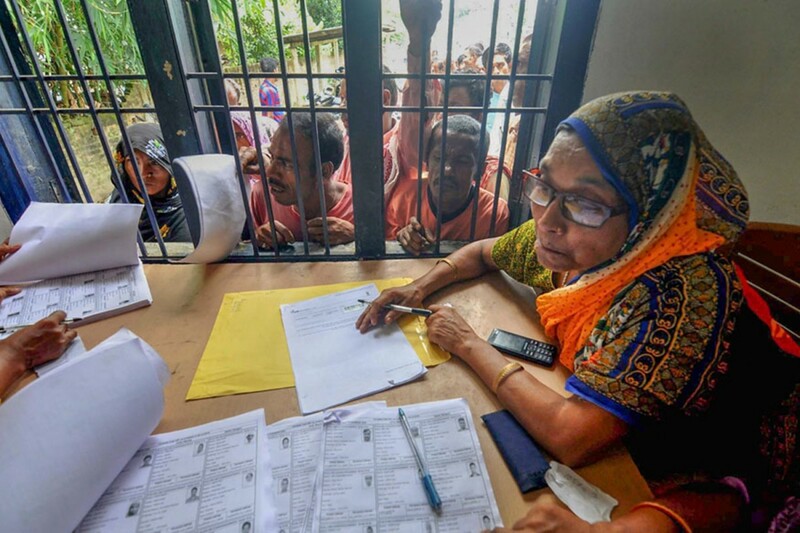 It repeatedly put tangles in the way of the NRC process from positions of power, and the Supreme Court has recently administered a stern rebuke for such mala fide interceptions. It talks loudly and repeatedly of some ‘national commitment’, whereas apart from the RSS and the BJP, none of the major political parties and tallest political leaders in the country have ever committed themselves to awarding citizenship en masse to all who cross over the borders with neighbouring countries, provided they did not belong to a particular creed.